Paul Casey's 66 on Friday earned him a share of the 36-hole lead. 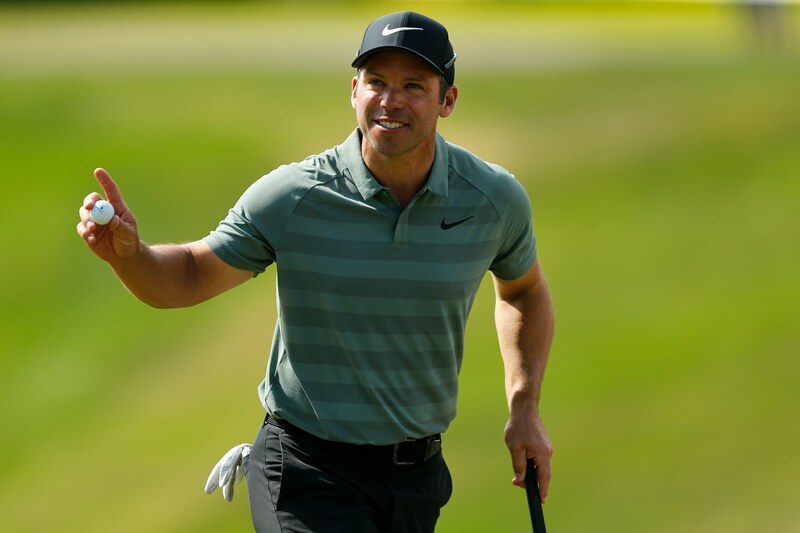 Paul Casey proved last year that he knows how to maneuver his way around the testy Copperhead course at Innisbrook Resort. He’s got a formula and it works and it was working again on Friday at the Valspar. His five-under par 66 earned him a share of the 36-hole lead at six-under par with Austin Cook. Luke Donald, the 2009 champion was having a great day and got himself to seven-under par and held the solo lead late in the afternoon until he bogeyed six and eight, his 15th and 17th holes of the day. His 70 and those bogeys dropped him a shot back at five-under. Dustin Johnson hasn’t shown his best stuff the first two days but still found himself in the thick of it. His pair of 69s has him just two back. Jon Rahm sits in striking distance at three-under par. As usual, the course proved a formidable challenge and the 36-hole cut came at one-over par.